Akash graduated from the Indian Institute of Technology Kanpur. 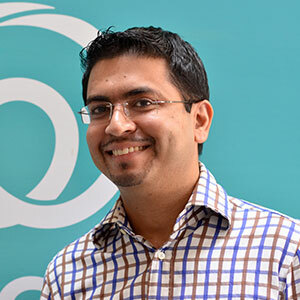 At Circle of Life, Akash works closely with the data sciences team to transform analysis into a scalable product. Ayushi Gupta is a key member of the data sciences team at Circle of Life and her training in applying machine learning to biological data and different programming languages like R, Python, and C/C++ helps her to analyse, model and validate real-time data from various hospitals. She completed her Master’s in Computational Biology from IIIT Delhi and Bachelor’s in Computer Science Engineering from Guru Gobind Singh Indraprastha University, Delhi. 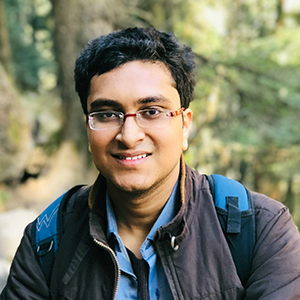 Completing his dual degree (BS-MS) in Mathematics and Scientific Computing from IIT Kanpur, Debabrata has been working as a data scientist aiming to combine machine learning and natural language processing algorithms with scalable products. 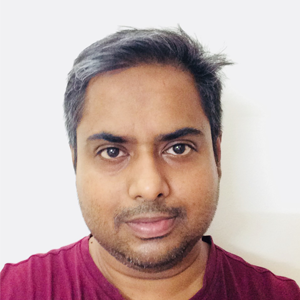 With computer science skills, he is working towards resolving the forlorn problems in healthcare analytics including scarcity of structured data and verified medical information as well as deploying his machine intelligence and algorithmic expertise to venture into avant-garde fields of AI towards reshaping analytics in clinical care with automated diagnosis, scheduling problems and more. Debarka earned his Ph.D. in Computer Science and Engineering, with specialization in machine learning and computational biology. He carried out his doctoral research in the Machine Intelligence Unit of Indian Statistical Institute, Kolkata. He completed his postdoc research at the prestigious, Genome Institute of Singapore. Debarka has advised a number of analytics companies on various machine learning and artificial intelligence related projects. His research articles have been published by some of the renowned publishers, including Nature, Science, IEEE, Oxford and Royal Society of Chemistry. He has twice been nominated for the INSPIRE faculty award by the Department of Science and Technology, Govt. of India. Debarka brings over 12 years of experience in academic research, teaching, scientific advisory, and analytics project management. At Circle of Life, Debarka supervises a vibrant team of enthusiasts in machine learning, economics, and mathematics for innovating robust and future-proof data science solutions for a broad range of analytics products. Dinesh brings with him over 18 years of leadership experience as an army officer and more recently at Ericsson where he was spearheading various global transition and transformation initiatives. Dinesh is a B.Tech (Telecom and IT) and a PGDM (MBA) from Indian Institute of Management, Ahmedabad. 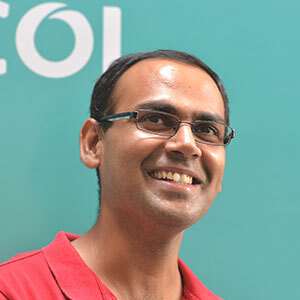 Eeshan Hasan is a trained mathematician from the University of Hyderabad. He believes that advanced mathematical tools and techniques must not be solely confined to the academic realm but to be used in the real world. With his intuitive grasp of mathematics, he is able to convert real world problems into abstract mathematical formulations and also the other way round. Mudit is an economist, thinker and a researcher. He has taught economics to more than 4000 MBA students at ISB and previously served as consultant with the World Bank and ADB. His biggest strength is his ability to look at complex real world problems from the prism of abstract economic models. He has channeled this strength into CoL through which Mudit’s vision is to democratize healthcare. 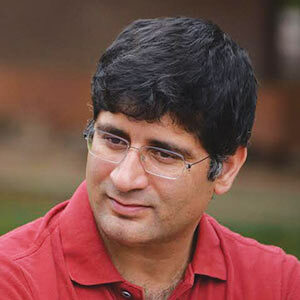 Mudit completed his PhD in Economics from the University of Maryland, College Park. Working as a Design Researcher at Circle of Life, Pradeep is responsible for understanding user persona and transforming their needs into a clear and meaningful business brief. After graduating as a Mechanical Engineer from IIT Bombay, he surely knew, that understanding humans and empathising with them comes more intuitive to him rather than machines and he proceeded to pursue his masters in User Experience (UX) Design from IIT Kanpur. 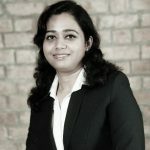 Over a career spanning more than 13 years in Indian healthcare, she has donned multiple hats from a surgeon, team leader & medical teacher to strategic team member of a digital health and healthcare training companies. 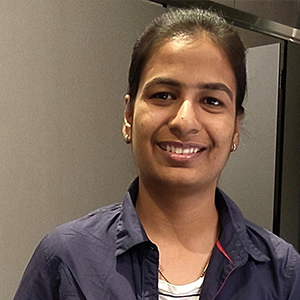 Surabhi is a data scientist with hands on knowledge about Econometrics and Time Series. She is responsible for data modelling and validation at CoL. She completed her master’s in Economics from Shiv Nadar University. Prior to this, she was working as a freelance data analyst for various organisations in Delhi NCR. 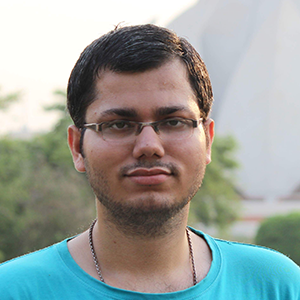 Having graduated from the Indian Institute of Technology, Kanpur, Suyash has been honing his skills in predictive analytics, time series and traditional machine learning algorithms. He is presently working on how to integrate natural language processing capabilities into analytical products with wide applicability. Teekam Chand Mandan graduated from IIT Kanpur with a Bachelors in Computer Science and Engineering. At Circle of Life, Teekam works in the product team bringing to life the ideas envisaged by the data science team. As a full stack engineer, he has experience in working with various web technologies. Teekam is also very enthusiastic about the applications of Machine Learning in various fields of knowledge including health care and tries to inculcate them in the product cycle. 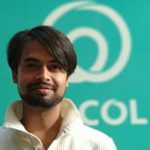 Vaibhav works closely with the board of directors in managing the overall operations, product portfolio and growth at CoL. He brings over 20 years of experience in private equity, consulting, M&A and advisory and has worked in more than 30 countries worldwide.